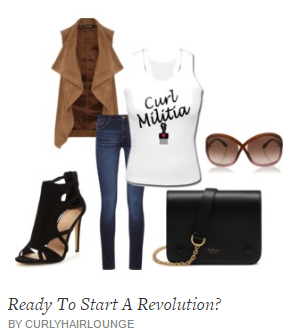 I got two words for you – Flora & Curl. If they don’t mean anything much other than their literal definition that’s okay, I wouldn’t expect them to mean much to you… yet. 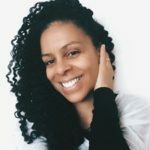 Flora & Curl is a UK based natural hair care brand that has recently launched (April/2017) its products into the market and asked me to make an honest product review of their natural hair care products, no strings attached. 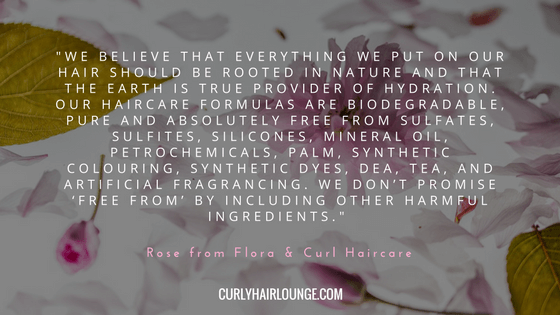 Rose, the founder of Flora & Curl Haircare, contacted me to let me know that she has been a fan of the blog for a while and asked me if I would be interested in reviewing her soon to be launched products. I’ll be honest with you, Rose’s candid and straightforward approach flattered me and left me curious. Upon reading her email I was immediately attracted to the ethos of the company and her product photos conveyed a strong brand image, which was further supported when I started stalking their Instagram page, hehehe 😀 . Needless to say, I accepted her invitation and waited for the products to arrive. 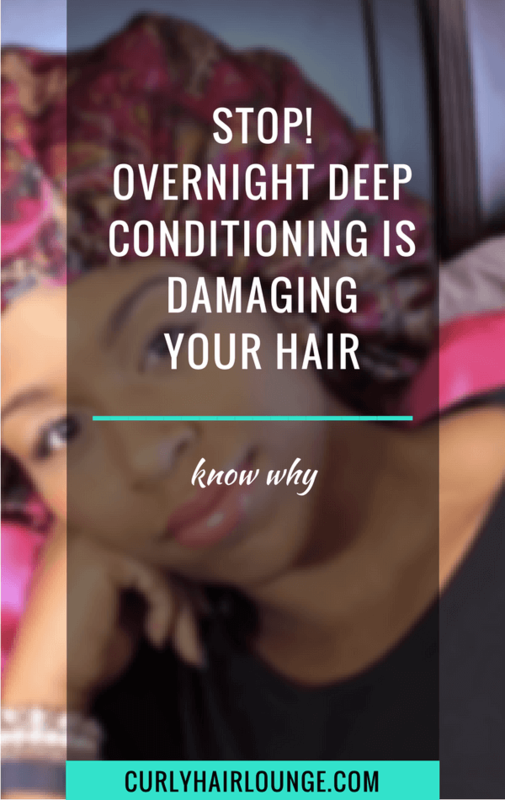 I was immediately eager to try them out but unfortunately, I had just washed my hair, so I had to wait for my next wash day. Bummer… Still, that didn’t stop me from getting a first feel of the products. You see, I had to appease some of my frustration. First impressions were promising, but I won’t say more. I’ll leave that for the real review bellow, plus I have a little surprise for you. Rose sent me the Jasmine Oasis Hair Mist, the African Citrus Hair Oil and the Flower Garden Hair Butter which was awesome because I could then use them for my LOC Method and have a true measurement of how the line works together on my hair. Perfect! One quick thing I’d like to say about the packaging and labelling of the products is that they immediately conveyed nature or tropical and exotic gardens in their purest, unchanged state. It’s like you know the ingredients inside were consciously and carefully selected to produce a wonder of nature. The bottle of the hair mist and oil is dark brown, which I’m not sure if it’s meant to evoke earth and nature or to maintain and protect the integrity of the ingredients inside (maybe both). Either way, it provides a beautiful contrast with the products’ labels full of green tropical tree leaves and flowers in two different backgrounds. As for the hair butter, it comes in a hard plastic transparent container that lets you see its pink content eliciting curiosity. 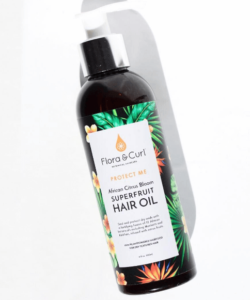 According to Flora & Curl’s manifesto, their products offer “hair food that is potent, active and fresh”, made with consciously selected ingredients that are formulated to work in harmony with curly hair and protect the natural oils in the scalp. So far so good, but the real test came when I actually used the products on my hair. 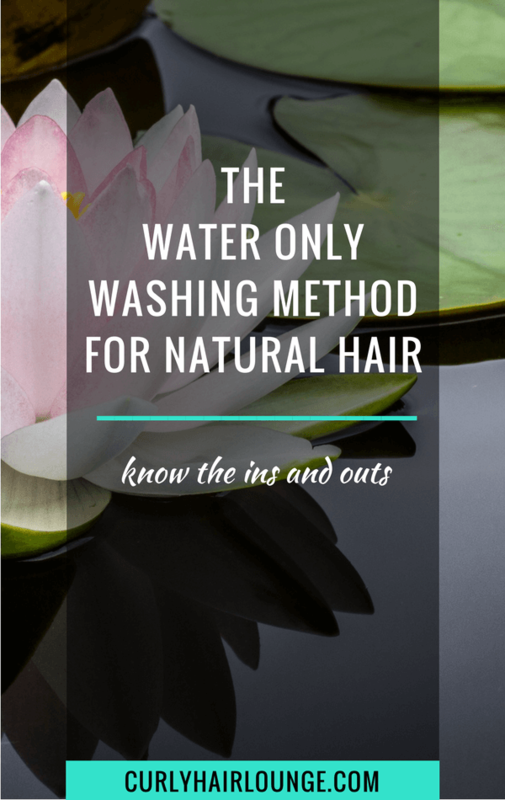 This is a hair mist that can be used as a daily moisturiser, a thirst relief spray or a curl refresher, but I decided to use it as the L (liquid) in my LOC method. 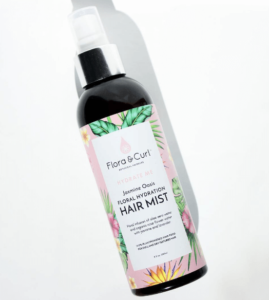 I normally go for something a bit heavier in consistency in the form of a leave-in spray or a light leave-in conditioner cream, but I decided this hair mist would do, after all, water is the best moisturiser of all. Plus, the ingredients had me convinced. I could give you a rundown on the ingredients, but I believe you can check for yourself that they’re all natural and relatively well known. Potassium sorbate and sodium benzoate are used in this formula because they are preservatives meant to keep microbes and bacteria away. They are naturally derived from cranberries, plums, apples or prunes. As I continuously pumped through the product I thought I was going to use half of it. However, to my surprise, I used a lot less than I thought I would. Maybe even less than what I normally use with my DIY mix made with water, conditioner and oil. I guess that’s the wonder of the hydrating powers of aloe vera and rose water. My final take on this hair mist is that though I may not be have used it for its intended purpose it still worked well in hydrating my tresses as my “L” in the LOC method. For ease of use, I would suggest a hand pump instead of a finger one since the bottle kept sliding from my wet and somewhat oily hand. Another suggestion (more like a request) I would make is a personal one, which would be to make this mist in a citrus or sweet (vanilla) fragrance when the product portfolio widens. 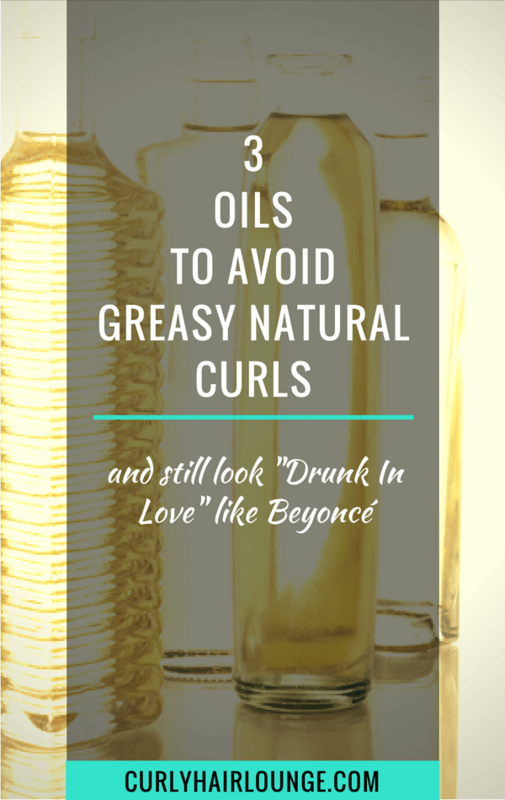 As any oil or oil mix, this hair oil can be used on damp hair to seal in the moisture, as a hot oil treatment, for a pre-poo or to simply add shine and gloss to naturally curly hair. 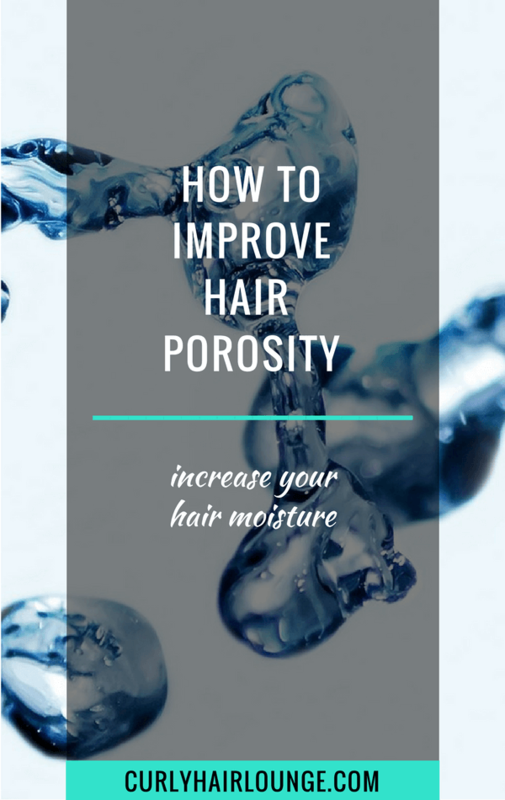 It will also help strengthen your hair by improving its elasticity. I used it as my O (oil) in the LOC method after the Jasmine Hair Mist and I was surprised. Vitis Vinifera (Grapeseed) Oil, Carthamus (Grapeseed) Seed Oil, Carthamus Tinctorius (Safflower) Seed Oil, Abyssinica (Crambe) Seed Oil, Ricinus Communis (Castor) Oil, Persea Americana (Avocado) Fruit Oil, Schinziophyton Rautanenii (Manketti) Seed Oil, Carica Papaya (Papaya) Fruit Oil, Adansonia digitata (Baobab) Seed Oil, Simmondsia Chinensis (Jojoba) Oil, Citrullus Lanatus (Watermelon/Kalahari) Seed Oil, Citrus Aurantium Dulcis (Sweet Orange) Fruit Oil, Citrus Reticulata (Tangerine) Fruit Oil, Vitamin E, Limonene*, Linalool **natural component of essential oils. An extensive list of oils that doesn’t include the presence of the well-known oil of Indian-Indonesian origin – coconut oil. Therefore, if you’re sensitive to coconut oil you should consider this hair oil as an option in your hair regimen. Other oils are present which are not so usually seen. 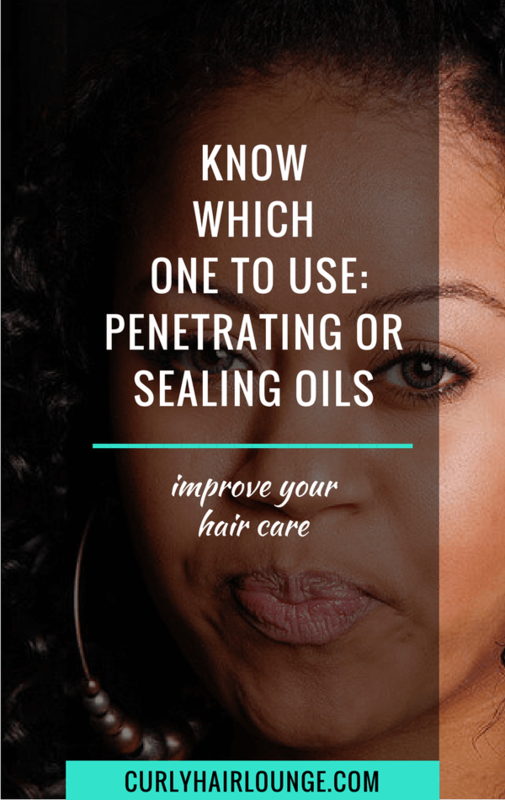 There’s the Mongongo oil wich is very moisturising and helps prevent hair breakage and the Watermelon oil which fights off damage from the sun and heat styling tools. 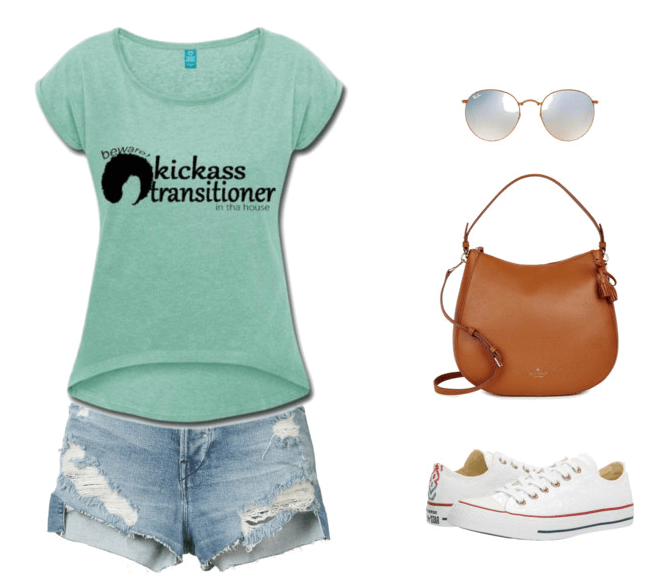 Cool, right! Wow! I was honestly impressed by this oil blend, it is surprisingly light and not greasy at all. Grapeseed oil is the base oil and it’s a light oil with a faint scent, nevertheless, with the addition of other oils, namely, castor oil, I didn’t expect it to be so light. When I applied it on my hair I felt as if I hadn’t applied any oil and my reaction was to apply more thinking it had some water based ingredient I hadn’t spot, but after an ingredient inspection, I soon realised it was just a characteristic of this hair oil. I confess I can be heavy handed with my products, but I don’t like to feel my hair greasy and this oil will give you the opposite feeling. So it was a very nice surprise. The Jasmine Hair Oil gave my hair a shine that was light and natural, a shine I hadn’t seen before on my hair. It also gave my hair a light and fresh citrus scent that I really enjoyed. As for cons, I really don’t have one. But if I was gonna be reeeeally picky about it I’d say it doesn’t feel oily enough (but does anyone really want to have greasy hair!? Nah.). 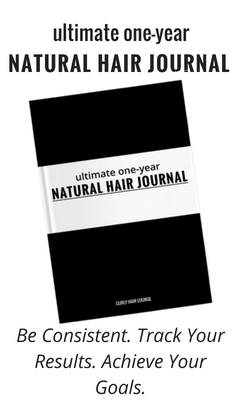 Final verdict: Loved it, will fit perfectly in my hair routine and I definitely advise you to try it. A hair butter is a hair butter. They are supposed to be extremely emollient to your hair, they help to seal in the moisture, provide shine and also provide protection from external aggressions and free radicals (hey, did you know shea butter can work as a sun protector to your hair? 😉 ). I used the Flower Garden Hair Butter as the C (creme) in the LOC method. Helianthus Annuus (Sunflower) Butter, Butyrospermum Parkii(SheaButter), CocosNucifera (Coconut) Oil, Prunus Dulcis (Almond) Oil, Oryza Sativa (Rice Bran) Oil, Tocopherol (Vitamin E), Camellia Oleifera (Camellia) Oil, Pelargonium Graveolens (Rose Geranium) Oil, Lavandula Angustifolia (Lavender) Flower Extract, Rosa Multiflora (Rose) Extract, Hibiscus Sabdariffa (Hibiscus) Extract, Violatricolor (WildPansy) Extract, Passiflora incarnata (Passionflower) Extract, GreenTea (Camellia Oleifera) Extract, Calendula Officinalis (Calendula) Extract. 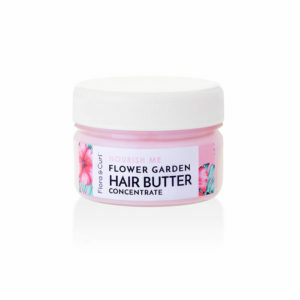 Unlike shea butter, you won’t normally find sunflower butter as the first ingredient in many products (a first for me), but its light penetrating oil can bring many benefits to your hair – moisture retention, hair strength, better hair elasticity/movement, sun protection. Rice bran oil and green tea will help stimulate hair growth and protect against premature greying of hair (I welcome that). In accordance with the brand’s image, you’ll also find some exotic additions to the formula such as hibiscus, wild Pansy and passion flower extracts. Applying the hair butter after the hair mist and hair oil seemed to make everything finally click. My hair became velvety soft and deeply moisturised as I worked the butter on my hair and braided it. The consistency of the butter is not heavy, it’s actually quite soft and buttery with a strong (but not intrusive or unpleasant) scent of roses. I decided to go for braids which later on in the week I would turn into a braid out. 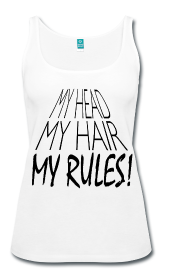 After 3 days and undid my braids, and my hair was soft, moisturised, with great definition and with a natural shine. The results were wonderful, but the one thing I loved about this butter was the wonderful scent of roses that lingered on for quite a few days even though I exercise daily and sweat. It felt as if I was walking around with a garden so I fluttered my hair more to let everyone feel how good my hair smelled (yes, there was some major Diva swag going on for a few days. 😉 No shame, here! ). This is surely a repeat product for anyone who wants soft moisturised hair but also a heavenly perfume for their hair. If you love perfume you’ll love this butter! 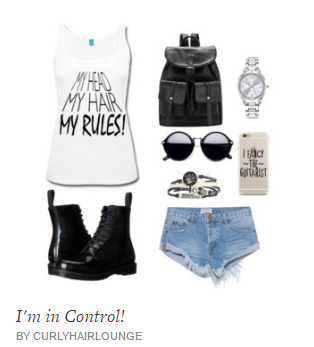 Cons! ?… I’d love a much, much bigger container. If you’re interested in any of these products you can buy them individually or s part of a kit at Flora & Curl. 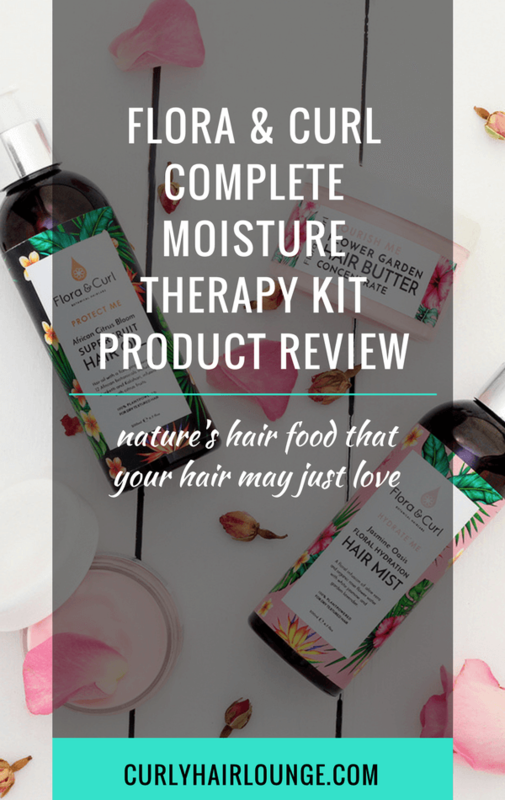 This post features the Complete Moisture Therapy Kit that you can buy for £43.99/£49.99, but there’s also the Essential Moisture Therapy Kit (Hair Mist + Hair Oil). 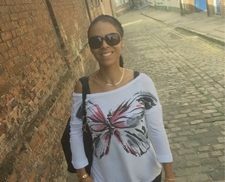 Whether you read through this post or skipped to the end (cheeky! 😉 ) I guess you’re interested in the products, right?! 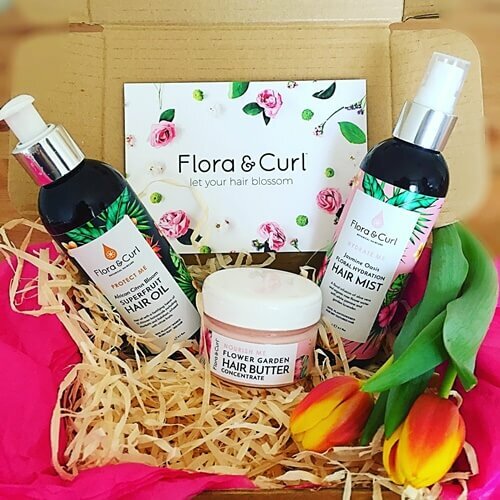 Well, Flora & Curl are offering you (my lovely readers and subscribers) a 10% discount (minimum spend £25 ), just enter the code ‘curlyhairlounge‘ at the checkout and try the kit. In the end, as a line, all 3 items of the Flora & Curl Haircare worked really well when incorporated into my LOC method. 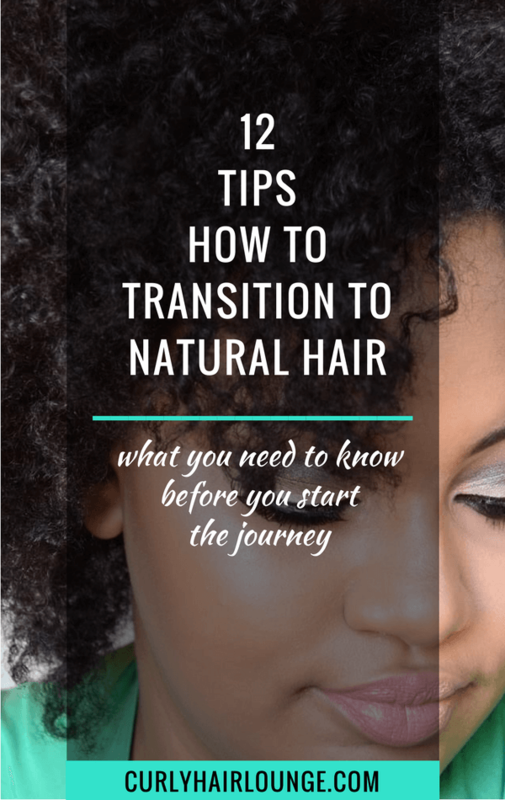 If your hair is medium-coarse, on application, they may come across as too light (this type of hair can handle heavy products very well), but trust me they can do the job well. 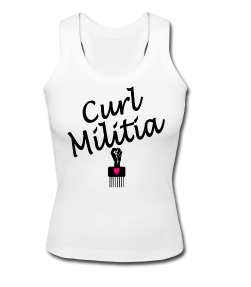 As for my low porosity hair, it was perfect. 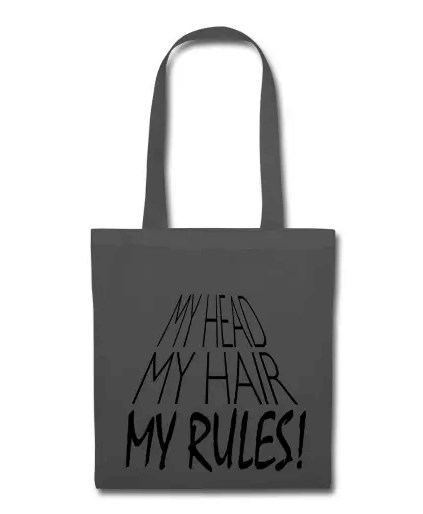 It didn’t weigh my hair or make it feel greasy. Perhaps the word I’m looking for is not that they’re light, it’s more like they’re a gentle touch of nature on the hair. They gave exactly what my hair needed, not more or less (nature is always balanced). This is a case when you can honestly say ‘Less is more’ or ‘A little goes a long way’. Have you tried any these products? What is your take on them or which one would you try? Hi, I want to get in touch with you because we need to talk!!! 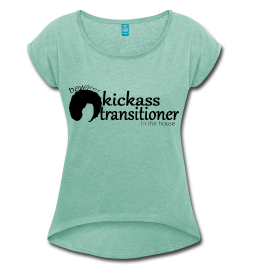 I hope there is international shipping because there is an international customer ready to purchase. 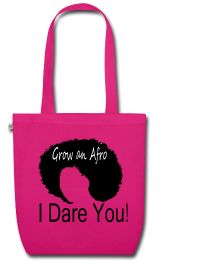 Hi Sasha, If you need to get in touch with me you can use the email address admin@curlyhairlounge.com.